I can say that for me, it's a dream come true to have finally been involved in a collaboration with a mix-artist that is without a doubt one of my favorites. I've been digging on JUNKYARD ANGEL's mixes since he first started uploading mixes on Mixcloud. I've hosted his mixes here quite a bit (more than anyone else), and have had such candid and (dear I say?) brotherly contact with him despite our differences in time, culture, and location. All of his music lives on my media player, and accompanies me on my bike rides, in my car, or anywhere else that I use it (which is everywhere) for getting my fix of great new music. I save his comments, and mark his emails as 'unread' so that I can take in his wit and gather the positive vibe that he exudes again and again. We've talked long about our musical interests, and lives in general. We've actually bounced a few original ideas (that we'll get to at some point) back and forth. This, hopefully, serves as a springboard for that. I have to say, that after listening to so many of his mixes repeatedly, I would definitely have to bring my 'A' game with a mix. His vision for melding the bizarre, accentuating the awe-inspiring, and conjuring the twist of fear is something that marvels me. I brought the suggestion of a sort of final swan song or opus, as I've had mostly lighthearted mixes, and I knew that he would be able to pull out his magic wand and develop such a great story. Hence the name 'fading light'. It could mean the close of a day, a final breath, a dying thought, or a moment that has expired. While I could ramble on with all of this, I'm passing the torch over to Junkyard Angel for the remainder of the narrative. One last thing: if feels good to ride on the backs of angels. I really look forward to receiving emails from Tonepoet, we have similar lives busy with families and young children not to mention mounting work schedules; we have no time to be mixing and making music so what drives us to do just that? For me, it's love and the maintenance of sanity; most people's musical thirst is quenched by the age of 25, but for myself (someone who is well over that figure), every day is a quest for music both old and new. If I don't find it, it will find me. 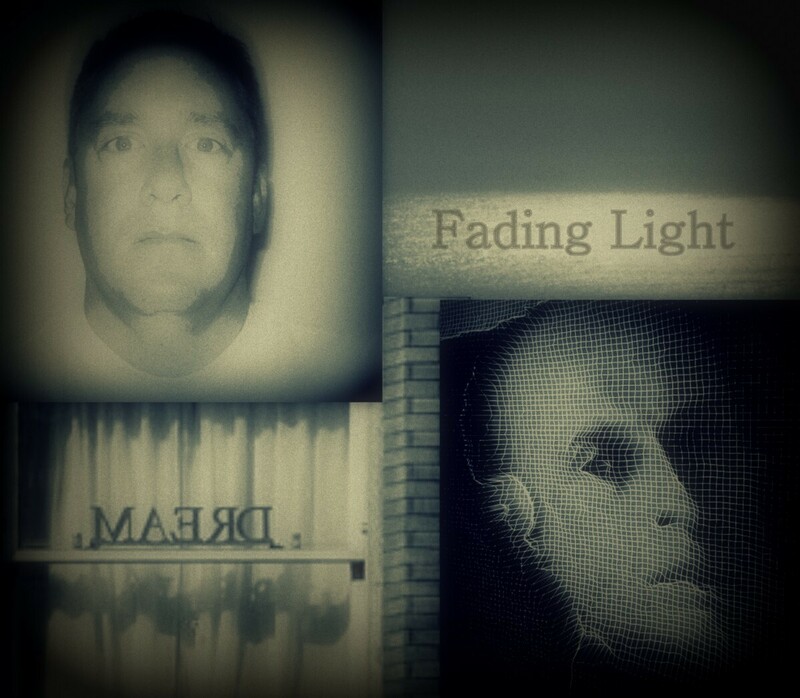 When I was asked if I wanted to collaborate to Fading Light, I had already got the songs swirling around in my head before I had finished reading the remit. Tom has put down a heavenly drone with a heartbeat that runs and weaves concurrently throughout the mix. I spent a while just mesmerized by this tidal sound surge. After listening to Tom's mix, I started to add to the second half. I really relished the idea of the collaborative musical mesh and one done digitally by 2 museos on opposite sides of the pond; it took me back to my pirate radio days when I used to play vinyl with other DJ's back to back. It kind of forces you to conjure another angle and pick a different tune to the one that you would have played on your own agenda. The worlds change but the passions remain intact.